The Cylinder Cichlid is not only attractive, but is easier to care for than other Tanganyika fish! The Cylinder Cichlid Neolamprologus cylindricus is a handsome, hardy fish from the south eastern part of Lake Tanganyika, Africa. It is a more recently described cichlid species that is similar in shape and behavior to its close relative, the well known Lemon Cichlid Neolamprologus leleupi. It is as brightly colored as the Leleupi but it also has a very striking patterning with bold black and white bands. Because of its elongated cylindrical body shape, it is also commonly known as the Cylindricus Cichlid. This is a very attractive fish that adds a unique color palate to any Tanganyika biotope aquarium. There are several slightly different color morphs, but all the varieties have ten dark vertical stripes along the body. Some also have blue edging on the fins and just under the eye. In each variety the males and females are both colored the same but those from the northern part of their range have lighter, brownish black bands. The more southerly specimens have darker black bands, and their bands are also broader. Some from the south will also have more yellow coloring between the bands rather than being white. This color morph is known as the Golden-head Cylinder Cichlid, Gold Head Cylindricus, or Goldheaded Cylinder Cichlid. These are great fish for both the intermediate and experienced cichlid keeper. They are hardy and easy to care for as long as regular water changes are done and are ready eaters. These are moderately sized cichlids that will reach up to 5 inches (12.5 cm) in length, so they do need a tank with lots of room. They also need a lot of rock work and other decor to create multiple caves formations. They are quite active swimming in and out of the cracks and crevices, sometimes on their sides or even upside down, but will stay very close to the rocks. They will not harm the plants nor will they burrow. Hardy plants that do well in hard, alkaline water and don't need a lot of light can make a nice addition. These cichlids are territorial and do not tolerate others of their own kind. They can be kept singly as they are a solitary species, or can be kept in a pair. A minimum 40 gallon aquarium is suggested for either of those arrangements. 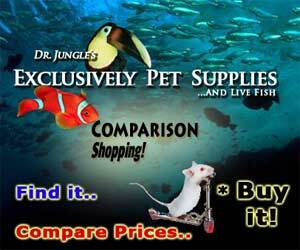 They do best in a species tank or in a cichlid only aquarium with other durable species. For this arrangement they will need a good sized aquarium of 55 gallons or more. These fish are aggressive and the males will kill any fish that is subdominant. In a mixed species aquarium tankmates need to be of similar size and attitude, and need to be fish that don't occupy the same type of territories. The best tankmates are other shoaling types of Lake Tanganyika cichlids. In the wild the Cylindricus Cichlid is usually found alone and a pair will only come together for reproductive purposes.This fish will readily breed in captivity as long as are caves. Do keep it separate from its close relative the Lemon Cichlid. This will prevent any cross-breeding and thus losing the true color strains. The Cylinder Cichlid Neolamprologus cylindricus was described by Staeck and Seegers in 1986. These fish are endemic to Lake Tanganyika, Africa and found in the south eastern part of the lake. This species is not listed on the IUCN Red List for endangered species. Other common names this fish is known by include Cylindricus Cichlid, Gold Head Cylindricus, Golden-head Cylinder Cichlid, and Goldheaded Cylinder Cichlid. The Neolamprologus is the largest genus of cichlids in Lake Tanganyika, containing 50 or so species. The fish in this genus are all closely related but they are split between "shelldwellers" and "rockdwellers", yet all are substrate spawners. This genus is also the largest group in the tribe Lamprologini. The Lamprologini tribe contains seven genera and nearly 100 species of African Cichlids, most of which are found in Lake Tanganyika, though a few species are found in the the Congo River Basin and one species is found in the the Malagarasi River in Tanzania. The Lamprologini cichlids are highly variable and occur in all kinds of habitats. They are found both at the surface and in very deep waters, but all species are substrate spawners. They have a body that can be somewhat elongated to very elongated. Their colors tend to be brown, yellow, blue, black or a combination or all four. Black is usually a striping, either vertical or horizontal. Like other genus in the tribe, the Neolamprologus will readily mate with females of other Lamprologini. The N. cylindricus occur along the rocky coastlines in the south-eastern part of the lake at depths between 15 - 50 feet (4.5 - 15 m). They are found singly and inhabit the recesses of the rocky terrain. When breeding they will form monogamous pairs. The parents are cave spawners and raise their fry in seclusion. They feed on invertebrates found in the biocover of the rocks and substrate, including zoobenthic organisms, aquatic insects, and copepods. Social Grouping: Solitary - They are found single, but will form monogamous pairs while breeding. The Cylinder Cichlid is an elongated, cylindrically shaped fish with a continuous dorsal fin, a fan shaped caudal fin, and large lips. Their teeth are very sharp due to the nature of their dietary needs. The males typically reach up to about 5 inches (12.5 cm) in length with females being slightly smaller. The Neolamprologus genus can live 8 - 10 years with proper care. There are ten broad vertical gray black to black bars with thinner white bars in-between. The face is gray-black to black with irregular shaped spots. Males and females are both colored the same, but there are several slightly different color morphs. Some have a blue edging on the fins and just under the eye, at times their lips tend to be blue as well. Those from the northern part of their range have lighter, brownish black bands. The more southerly specimens have darker black bands, and their bands are also broader. Specimens from the southern most end of the Lake have more yellow between the dark bars instead of all white. They sometimes have gold on the snout of the males as well. This color morph is known as the Gold Head Cylindricus, Golden-head Cylinder Cichlid, or Goldheaded Cylinder Cichlid. Lifespan: 8 years - The Neolamprologus genus can live 8 - 10 years with proper care. This is a fish best kept by intermediate and experienced cichlid keepers. It is an aggressive cichlid towards others of its own kind, but can be kept with other larger and robust Tanganyika. The aquarists must be willing to provide a properly set up aquarium with appropriate tank mates, and be willing to do frequent water changes. The Cylinder Cichlid is basically carnivorous in the wild, feeding primarily on small fish and crustaceans. In the aquarium they can be fed mysis shrimp, earthworm flake, frozen adult brine shrimp and once in a while spirulina. Other special food for carnivorous Lake Tanganyika cichlids are acceptable. It is suggested that you do not feed live foods and tubifex worms due to possible diseases and pathogens that may be transferred to your fish. Feed 2 to 5 small pinches of food a day in smaller amounts instead of a large quantity once a day. A one-day-a-week 'fast' can also be beneficial. All fish benefit from vitamins and supplements added to their foods. Feeding Frequency: Daily - Offer several small feedings a day rather than a single large feeding for better water quality. Do normal water changes of 10% to 15% a week, or more frequent depending on the nitrite/ammonia levels and stocking numbers. The Lake Tanganyika cichlids cannot handle large water changes very well unless the new water water chemistry closely matches the water they are in. This inability to tolerate large water changes is due to Lake Tanganyika being very deep and the water tends to stay stable. The Cylinder Cichlid is active but will swim mostly in the middle and bottom areas of the aquarium. A minimum 40 gallon tank for a single fish is suggested, and 55 gallons or more for a pair or if mixing with other species. They need good water movement along with very strong and efficient filtration. Lake Tanganyika is a very oxygen rich lake so bubblers need to be going day and night, even if there are plants. Regularly check nitrates and ph, nitrates should be no more than 25 ppm and a pH less than 7 is not tolerated. In addition keep an eye on total hardness and carbonate hardness. Avoid overfeeding and overstocking. Many caves and a lot of rock work will make the Cylinder Cichlid comfortable. They are aggressive and need a lot of room. Provide a sandy to very small sized gravel substrate. Plants may help the fry to survive and can be arranged in a very pleasing manner. Hardy plants that do well in hard, alkaline water and don't need a lot of light, like Anubias and Vallisneria, can make a nice addition. For a different or varied look you can plant on the porous rock with such species as Water Fern and Java Fern. Minimum Tank Size: 40 gal (151 L) - A minimum of 40 gallons is the suggested for a single fish, with 55 gallons or more for a pair or if mixing with other species. Brackish: Sometimes - alt is not found in their natural environment, but they do have a slight tolerance, keep levels below 10% - a specific gravity of less than 1.0002. The Cylinder Cichlid can be kept in pairs or singly. They are generally aggressive toward those of the same species, and with their sharp teeth, they can make quick elimination of conspecifics. They will tolerate those of a different genus as long as they are larger and colored differently. This is an aggressive community fish, but may be kept with robust and larger Lake Tanganyika Cichlids that shoal, such as those of the genera Neolamprologus, Altolamprologus, and Cyprichromis. Do not keep with other fish that have similar body shapes and size, such as Julidochromis, or other fish that occupy territories similar to that of the Cylinder Cichlid. Males will kill any fish that is subdominant. Same species - conspecifics: Sometimes - They are aggressive towards conspecifics, accept as a breeding pair. No way to tell the difference between males and females until they are adults, then the male may be a little larger. The Cylinder Cichlids are egg layers. They are sheltered substrate spawner and prefer spawning in caves. When breeding they will form monogamous pairs and a nuclear family, but only while tending the fry. The female guards the clutch while the male defends the territory. This fish has been bred in captivity and will readily spawn as long as there are cave type spawn sites available. They are cave spawners, but young couples need practice to become successful parents. Purchase 6 or more juveniles and allow them to pair up. After a pair has formed remove the remaining Cylinder Cichlids, because the newly established pair will attack the others. They are easy to breed, but are best kept in their own breeding tank with another fish that takes the "punishment" of aggression from the parents. The reason is that part of the parent's bond is associated with protecting the eggs and fry together. If there is not another fish in the tank for them to "protect" their young from, the male will generally turn on the female and damage her. Do not use Plecostomus for this as they will eat the young during the night. Provide the Cylinder Cichlid with caves that have smooth surfaces for their eggs to adhere. They can be made from rocks and/or clay planting pots and/or pieces of slate. Once the tank has been set up do not move any decorations around since this more than likely will break the bond a male and female have made.This is another part of their bond that is connected to the "territory" more than to each other. The male and female will hang around each other during spawning and drive the others away from their turf, which in turn strengthens their bond. If the tank is a community cichlid tank and you notice the fry not surviving due to other cichlids eating them all, on the next hatch carefully siphon the fry out of the tank. Don't chase or rearrange the tank, and do not take all of the fry or the parents become confused and will start to eat the next spawns. The breeding tank should have neutral to slightly alkaline, medium hard water with to a pH of around 7.0 - 8.5, 10 - 15° dGH, and a temperature between 77 - 82.4° F (25 - 28 C). The female deposits about 30 - 100 small olive colored eggs in the cave and the male will then fertilize them. The eggs hatch in about 4 - 10 days depending on the temperature of the water. The parents both share the duty of guarding the eggs and fry, keeping other fish away from their young. By 14 - 16 days, the fry are free-swimming and will remain protected by the parents until a new spawn comes along. Fry can be fed crushed dry foods, although hatched or frozen baby artemia, and/or artemia replacement foods are needed due to their high lipid and protein level. These foods contribute to improved survival rates and increased growth rates. See the description of breeding monogamous cichlids in: Breeding Freshwater Fish: Cichlids. Cylindricus Cichlids are susceptible to typical fish ailments, especially if water is stale and of poor quality and oxygenation. For freshwater an optional practice is to add 1 heaping teaspoon of salt per 11 gallons of water. This is considered to be a simple and natural remedy for wounds, minor fungal infections and film over the eyes of fish in transit. Using a marine salt (used for salt water fish) will add some trace elements. One common parasitic problem is Ich. It can be treated with the elevation of the tank temperature to 86° F (30° C) for 3 days. If that does not cure the Ich, then the fish needs to be treated with copper (remove any water conditioners). Several copper based fish medications are available for Ich. Copper use must be kept within the proper levels, so be sure to follow the manufacturers suggestions. A copper test also can be used to keep the proper levels. You can also combine increasing the temperature with an Ich medication treatment. The Cylinder Cichlid is available both online and in fish stores and is moderately priced for juveniles. Purchase from a reputable dealer, due to hybridization it takes a trained eye to choose the correct color strain that has not been crossed.